Copic markers are expensive... With so many colors to choose from, it's hard to build a great collection without breaking the bank. What colors do you really need to get started? How many colors do you need to get a good blend? In today's economy, every dollar counts. You have to make the most of what you have and get the most value out of every dollar you spend. "Jailbreaking the Copic Color System" will show you how to do just that. 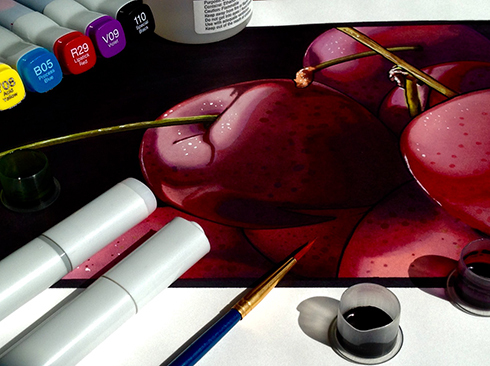 You'll learn how to make hundreds of different colors from just a few bottles of Copic various refill ink. Sign up to get your free guide and find out what tons of colors can do for your work today. Hey Buddy!, I found this information for you: "Get Hundreds of Copic Marker Colors for Cheap". Here is the website link: https://copicmarkertutorials.com/get-hundreds-of-copic-marker-colors-for-cheap/. Thank you.